No matter how much you may love eating your favorite food in the traditional sense, there is always room for improvement. Even if you are a fan of plain ol’ fried eggs, there is a way to make them even tastier. Love baked potatoes? Yes, there’s a way beyond smothering it in cheddar cheese and heaping spoonfuls of bacon on top of it. Are you an avid breakfast enthusiast? How about a way to make bacon and pancakes even better? You may not think of your faves being consumed any other way than the way you’ve always eaten them, but we’re here to prove you wrong. 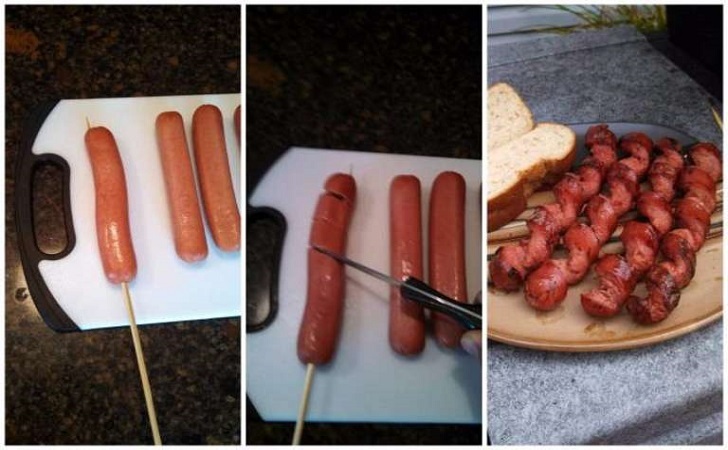 If you love hot dogs – and what American doesn’t – stick a skewer through the meat long ways, then cut them into a spiral shape before throwing them on the grill. Make sure you don’t cut all the way through and make the slices about one-inch apart. Once it’s cooked, remove the skewer and enjoy! 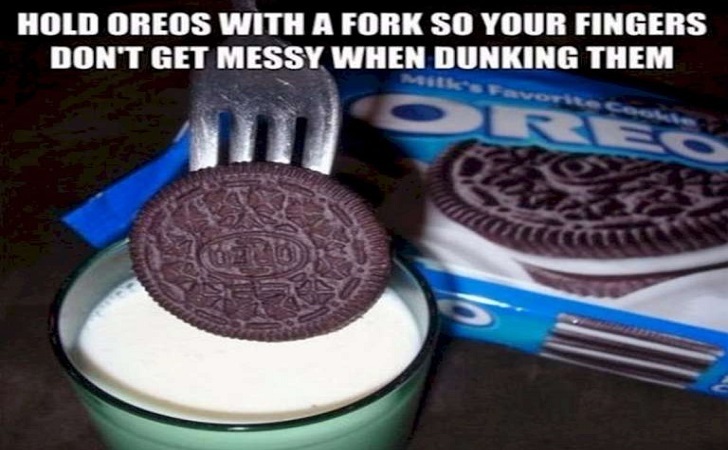 There’s only one way to eat an Oreo and that’s dunking it. Why not improve on the tried and true way and use a fork to keep from getting your fingers soaking wet? 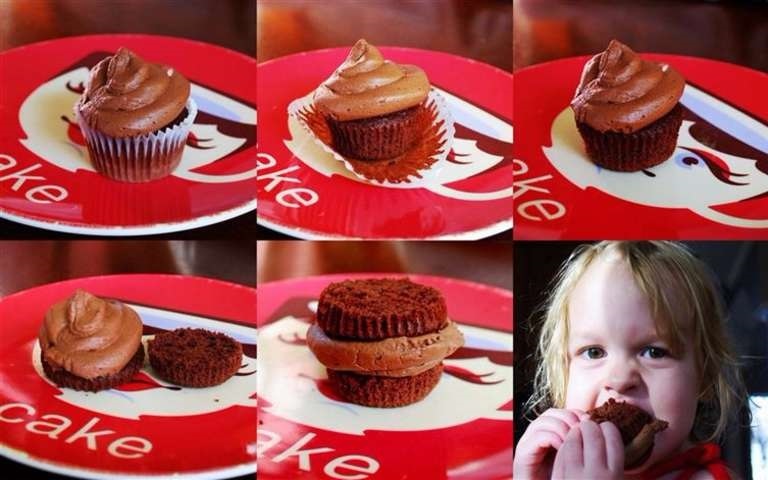 Make your cupcake eating experience even better by having an even cake-to-frosting ratio by cutting the cupcake in half and stacking the bottom half on top of the frosting. The point of take out is to make dinner easy, right? So why mess with having to wash dishes when you’re finished? Just cut open the flaps of your container and use them as a plate. Keep The Cheese On The Pie, Please! How many times have you run out to your local pizza shop to grab a pie but after you get home you realize the cheese and topping have slid to one side on the drive home? 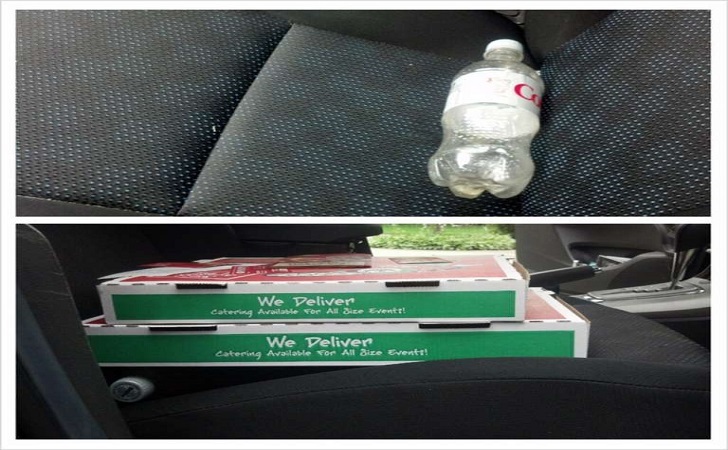 Put a water or soda bottle on the seat to balance the box while you transport it home. 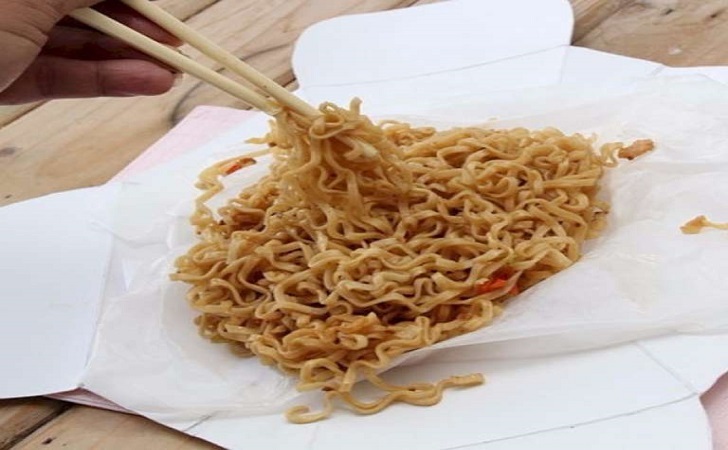 Flip over to the next page for more food hacks!